On March 14, 2019, a bilateral cooperation agreement was signed between the UNEVOC Center and the Partner Center of the international certification body IMQ. Subject of the agreement: development of the UNEVOC center as a center of competence in the field of system management and project management in the system of higher and secondary vocational education in the Republic of Bashkortostan. 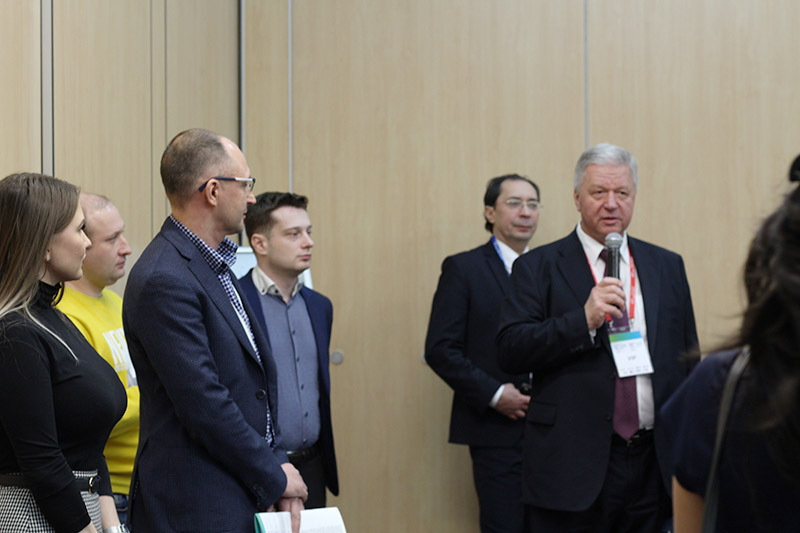 Following the signing of the agreement, it was decided to jointly hold the First National Russian Project Management Championship IPMA Young Crew. On march 12 BIST held another working webinar on the Torino process with the colleagues joining from Moscow and Tula. Our coordinator Tanzilya Nigmatullina informed our European colleagues about the measures undertaken to prepare the information for the report on the state of vocational education and training in our region, further plans and events aimed at implementing Torino process in the Republic of Bashkortostan. We also shared the new website created about the Torino process in our region that our institute is using to accumulate all the materials available to us, including guidelines, previous regional and country reports, and official forms and indicators, and ultimately share our updates. Our European curators took interest in our endeavors and offered to send us the most current materials and technologies. Our next online meeting will take place in April, we are looking forward to sharing some preliminary results soon. February 13, 2019, BIST participated in yet another webinar with coordinators and participants of the Torino process. Online we discussed our progress working on the project with the representatives of Tver’ State University, Almetyevsk State Oil Institute and other colleagues from Izhevsk and Belgorod. Franca Crestani, the coorditnator of the Torino process in Russia, answered all the participats’ questions. Tanzilya Nigmatullina, head of the UNEVOC center and the coordinator of the Torino process in the Republic of Bashkortostan, informed the experts from of the European Training Foundation of the first reports on the implementation of the process and preparation of the regional report, which will have to be submitted to the ETF in June 2019. Preparing such a report is not going to be straigtforward. we need to gather local reports and interpret statistical parameters that describe the condition and developmental trends of professional education in our republic. Currently, work team for the Torino process at BIST developed a roadmap and started gathering the necessary data to prepare the report in a timely manner. 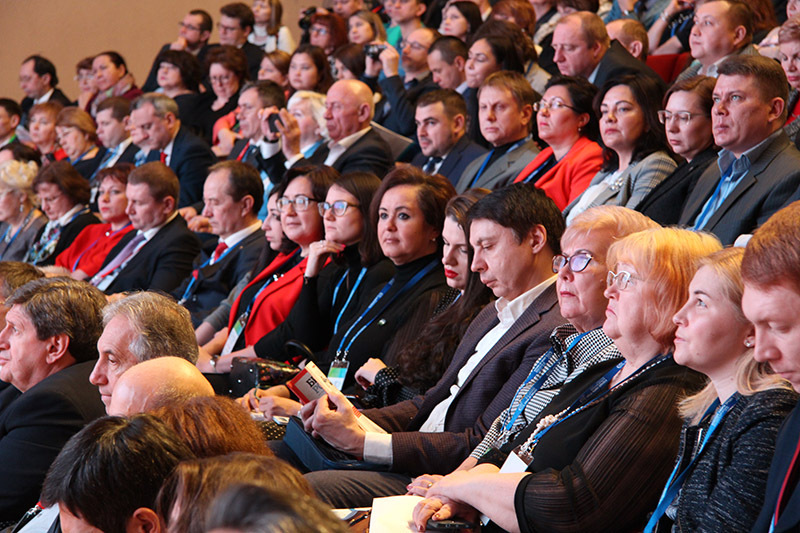 On February 4, the International Forum “The Future of the Work: Decent Work for All” began its work in Ufa. It was symbolic to hold it at this location. On March 20, 1919, when the government signed an agreement on the creation of an autonomy in Bashkortostan, at about the same time in Paris, nations were discussing the rights of workers. Subsequently, governed by the Versailles Peace Treaty, the International Labor Organization was created. This year, ILO, together with the Republic of Bashkortostan, celebrates its 100th anniversary. Our Academy of Labor and Social Relations marks the same anniversary: ​​On April 1, 1919, the Instructor School of the All-Russian Central Council of Trade Unions was opened. In May of the same year the first graduation of the first trade union educational institution of Russia took place, with the first graduating class of 90 students. Presently, representatives of governments, trade union organizations, employers in the CIS and Europe, as well as heads of federal executive bodies, labor and employment agencies of the country’s regions, scientists and public figures gathered in Ufa to discuss pertinent issues in labor relations and the principles of building the future of work, as well as to exchange views and experience in the development of social dialogue of labor relations. At the plenary meeting, the Acting Head of Bashkortostan Radiy Khabirov spoke about the significance of the event to commemorate the 100th anniversary of our republic. “The global changes taking place in the world today concern absolutely everyone,” he noted. – The situation in many areas is changing rapidly, including in the field of labor relations. They require an in-depth analysis, constant search for new, often non-standard, original decisions. And in this sense, we have to be pioneers, to design a new architecture of social reality. … In the conditions of changing forms of labor, transformation of the market, our main task is not to lose sight of a person and not let him get lost”. In total, 6 panel discussions were planned as part of the forum. Representatives of our institute participated in the discussion of the panel “Development of social partnership: responsibility and the role of business and trade unions in the context of the transformation of labor relations and the implementation of the principles of decent work”. The moderators of the section were: Nina Kuzmina, Vice-Chairman of the Federation of Independent Labor Unions of Russia, rector of our head university; Marina Moskvina, Managing Director of the Labor Market and Social Partnership Management RSPP; Mikhail Pushkin, Chief Employment Specialist, Decent Work Technical Support Group and ILO Office for Eastern Europe and Central Asia, and Tanzilya Nigmatullina, Director of our institute and the head of UNEVOC centre. On January 31, several Russian regions discussed the implementation and data collection process of Torino Process during a webinar. Tanzilya Nigmatullina, Head of UNEVOC Center, Coordinator of the Torino Process in the Republic of Bashkortostan, spoke about the activities carried out by the university: first of all, it is a detailed study of the state of vocational education and training (VET) in the region, identifying problems and ways to solve them, seeking out best practices and effective technologies. There are many indicators, which cover all areas of VET, and they will take considerable time to identify, analyze and summarize. Many stakeholders will be involved in this work – the Ministry of Education of the Republic of Bashkortostan, the Ministry of Family, Labor and Social Protection of the Republic of Bashkortostan, heads of colleges and technical schools. We expect thisdata gathering to be laborsome and meticulous: but we are determined to do it on time – in the summer of this year all the participants are expected to submit their regional reports, which will be included in the National Report on Russia. Representatives of the European Training Foundation, including our coordinator Franca Crestani and Mikhailo Milovanovic, the main expert in the field of policy and VET systems, gave exhaustive answers to all the questions the participants asked. Everyone was satisfied with the webinar and the support provided by the organisers. The next meeting is on February 13, and preparations for it are actively underway. 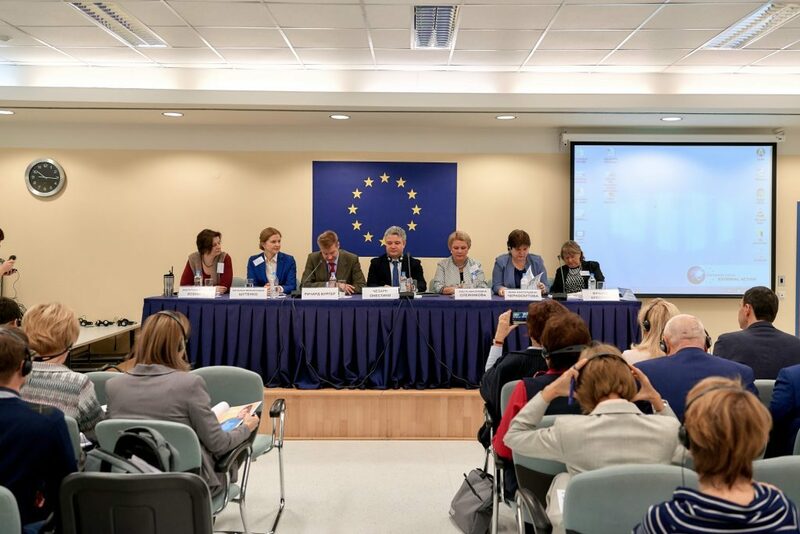 On November 27, 2018, in Moscow in the Headquarters of the European Union in the Russian Federation, a seminar entitled “A New Stage of the Torino Process 2018-2020 in Russia” was held. Among the guests were Tanzilya Nigmatullina, a Coordinator of this project in the Republic of Bashkortostan, head of the UNEVOC center; Olga Khoroshavtseva, deputy director for educational and disciplinary work, and Rakhil Velts, head of the department of humanitarian disciplines and the labor union movement. The main objectives of the Torino Process are the formation of a policy in the field of vocational education and training; analytical expert assessment of the development of vocational education in the participating countries; assistance in improving vocational education, project support, providing a basis for innovative technologies, best teaching materials, discussing problems within a structured dialogue and developing specific recommendations and a common understanding of the medium-term perspectives in terms of modern vocational education. The issue of professional education for the socio-economic sphere, primarily in the field of working professions, is one of the most prominent ones for the entire international community. It is not by chance that more than 30 countries of the world, including cities and regions of Russia (Moscow, St. Petersburg, Leningrad oblast’, Orenburg oblast’, the Republic of Mari El, Perm oblast’, and since March 2018 – the Republic of Bashkortostan) have become project participants. 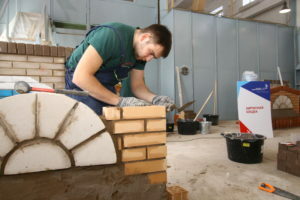 The participation of our republic in this project will allow us access to world practices to improve the quality of training of graduates of secondary vocational education and universities; attracting employers and business, introducing national standards for quality, mobility of graduates and, importantly, positioning the Republic of Bashkortostan as a region capable of responding promptly and adequately to the challenges of modern times. In July this year, a round table was held at our institute, with participants: Franca Crestani, Program Coordinator of the European Training Foundation; Olga Oleynikova, Director of the Center for the Study of Vocational Education Problems, Coordinator of the Torino Process in Russia and representatives of Colleges of the Republic. It was the first major acquaintance with the basic ideas and principles of the Torino process. 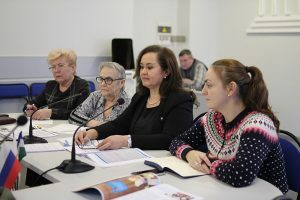 The seminar held in Moscow discussed the main features of the Torino Process 2019–2020, as well as its implementation in Russia at the regional level. Among seminar participants were: Cesare Onestini, Director of the European Training Foundation; Richard Burger, Research and Innovation Advisor, Head of Science and Technology at the European Union Delegation to the Russian Federation; Franca Crestani, Program Coordinator, European Training Foundation; Mihailo Milovanovic, Senior Expert in VET Policy and Systems at the European Training Foundation; Olga Oleynikova, Director of the Center for the Study of Vocational Education Problems, Coordinator of the Torino Process in Russia; Inna Chernoskutova, Director of the Department of State Policy in the Field of Vocational Education and Advanced Training of Personnel of the Ministry of Education of the Russian Federation; N. Shutenko, Advisor to the Rector of the Russian State Social University; E. Yesenina, Senior Research Fellow, Center for Vocational Education and Qualifications Systems of the Federal Institute for Educational Development of the Russian Academy of National Economy and Public Administration under the President of the Russian Federation, as well as representatives of cities and regions participating in the Torino process. 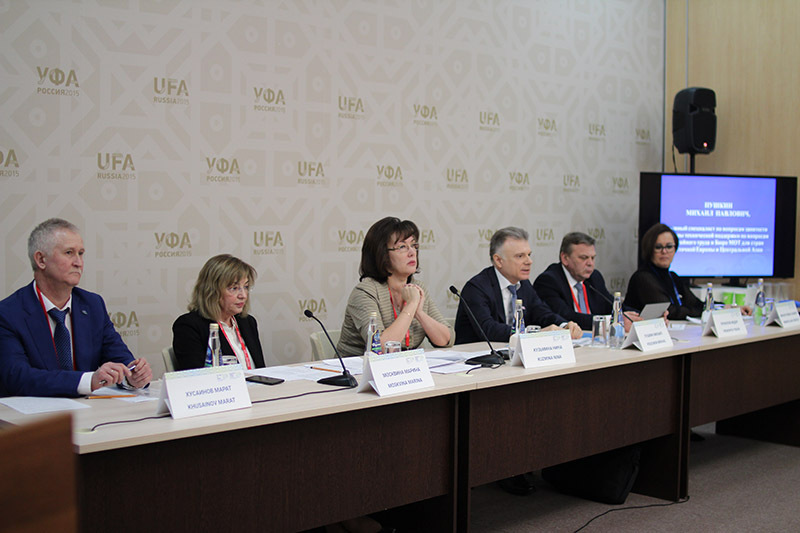 Tanzilya Nigmatullina informed the participants about the development of the vocational education system in the region and the implementation of the main activities in the framework of the Torino process. The discussion was fruitful: the participants clarified a lot for themselves, received answers to their questions, exchanged experiences and agreed on further cooperation. 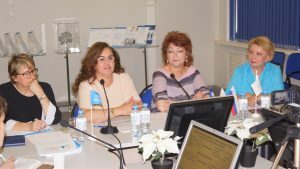 July 3, 2018 Bashkir Institute of Social Technologies – UNEVOC Center in the Russian Federation, hosted the International Forum which was dedicated to the implementation of the grant program “Transformation of Social Policy and Innovative Management in the Social Sphere”. 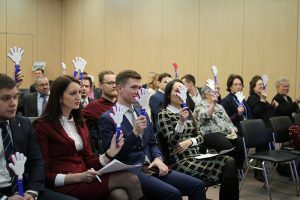 The participants came from a diverse pool of geographic locations: Russian cities (Balashov, Moscow, Nizhny Novgorod, Yaroslavl), the Republic of Bashkortostan, foreign countries – more than 100 people in total. Participants could attend the Forum in person and join online. Franca Crestani, a representative of the European Training Foundation (Italy), Olga Oleinikova, Director of the Center for Studying the Problems of Vocational Education (Moscow), and Tanzilya Nigmatullina, Head of the UNEVOC Center in the Russian Federation based at BIST, Coordinator of the Turin Process in the Republic of Bashkortostan all spoke at the Forum. Representatives of local government, ministries and departments, educational organizations of the republic were in attendance. Zulfiya Garifullina, Director of the Department of Social Policy of the Republic of Bashkortostan welcomed the participants on behalf of the Government of the Republic of Bashkortostan. 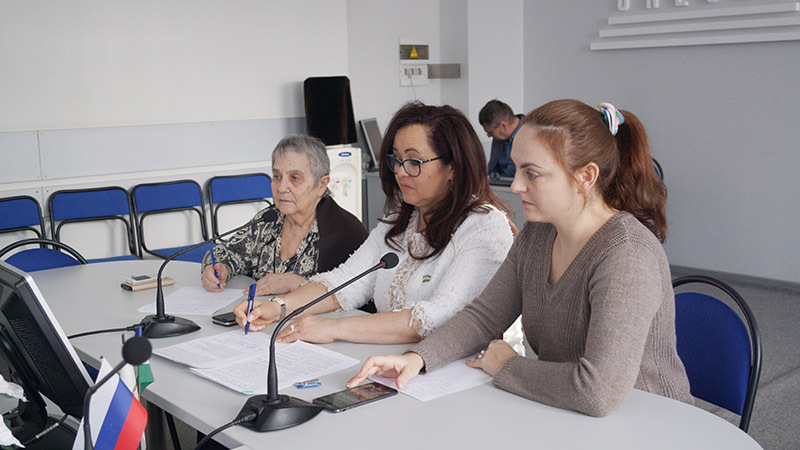 The following questions were discussed during the meeting: how to improve the quality of life, how to ensure stable development of the socio-economic sphere, how to solve problems of employment, how to support civil initiatives and ensure a successful dialogue between society and government. One of the solutions to these problems is to improve the quality of professional training of the individuals, who will be capable of responding to the challenges of the time, competent, responsible and ready to learn throughout life. The inclusion of the Republic of Bashkortostan in the Torino process is one of the promising steps in this direction. 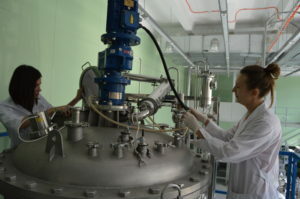 This project was proposed by the European Training Foundation of the European Commission back in 2010. Its motto is – “Working together. Learning for life”, with the main goals of defining policies in the area of vocational education and training; providing analytical expert assessment of the development of vocational education in the participating countries; assisting in improving vocational education, project support; introducing innovative technologies and best teaching materials; discussing problems within a structured dialogue and developing specific recommendations and a common understanding of the medium-term perspective in terms of modern professional training. 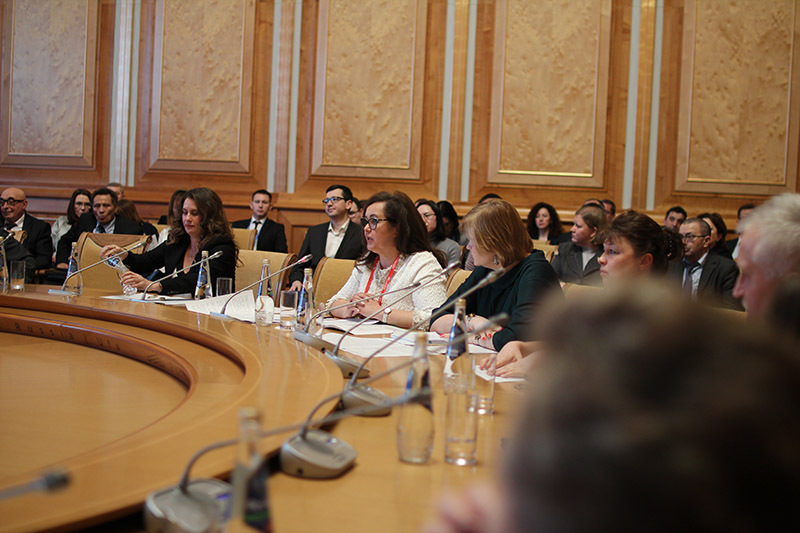 In her speech, Tanzilya Nigmatullina focused on the activities of the UNEVOC Center in the Russian Federation, established at the Bashkir Institute of Social Technologies (the agreement on opening the Center was signed in 2011 by the UNESCO-UNEVOC International Center, Bonn, Germany; extended in 2016). Its mission reads: “Helping to protect and develop human resources for the socio-economic sphere” and the goal: “Building a model of vocational technical education that meets the requirements of the economy in the context of globalization, taking into account the best domestic and foreign experience, by combining pedagogical potential and social partnership with government agencies, public organizations and businesses based on the cluster approach”, match the goals of the Torino process. 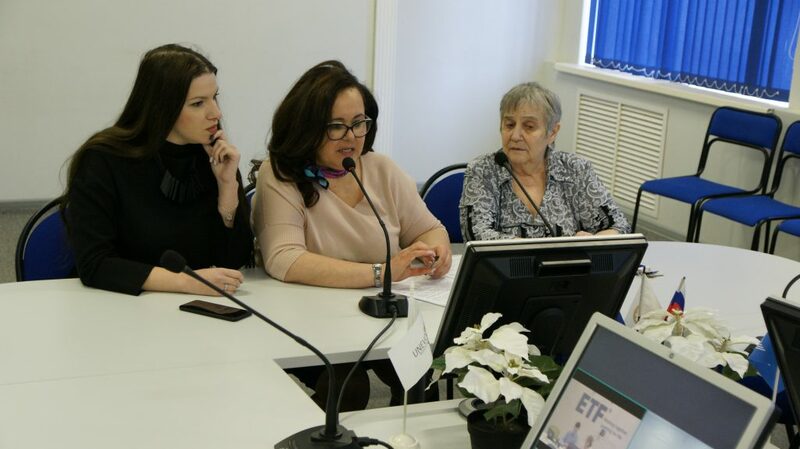 In addition, Tanzilya Nigmatullina presented the analysis of the condition on the system of vocational training in the Republic of Bashkortostan, conducted by the Agency of educational technologies at the UNEVOC centre. Franca Crestani elaborated on the methodology of the Torino process, its goals, objectives and prospects. Her performance was completed by three films on the Torino Process. 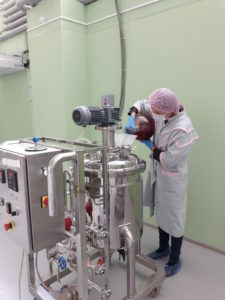 Olga Oleinikova discussed the issues related to the implementation of the Torino Process in Russia, introduced the participants to the best practices, methods and technologies. 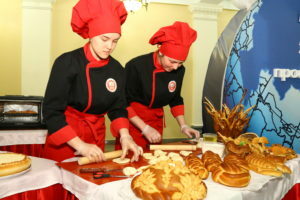 She emphasized that the participation of Bashkortostan in this project will allow to use international experience to improve the quality of training of the graduates of secondary vocational educational institutions; attract employers and businesses, encourage implementation of national standards of quality, enhance mobility of graduates and, most importantly, portray the Republic of Bashkortostan as a region capable of promptly responding to the challenges of the current society. The speeches raised great interest among the audience. Many questions were productively discussed. “The exchange of ideas was useful and interesting” – this was the general conclusion of both the organizers and participants of the forum. A collection of articles, based on the discussions will be published. 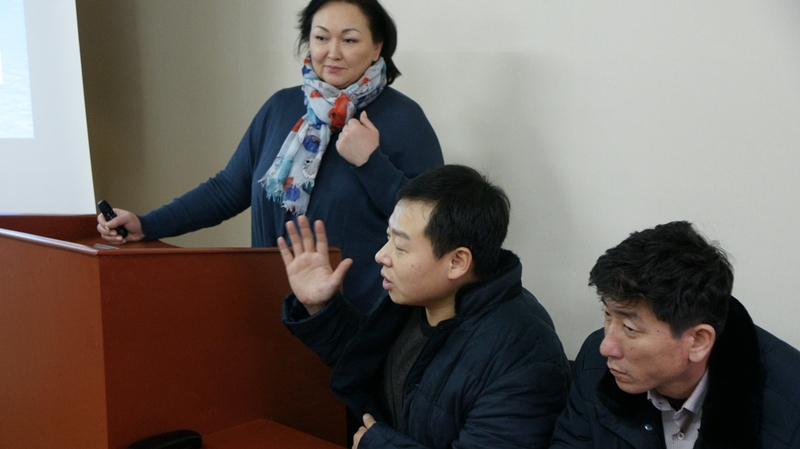 On December 10, 2016, in order to educate the migrants on the legal matters, the Bashkir Institute of Social Technologies (branch) of the OUP VO «ATiSO» together with the Autonomous Non-for-profit Organization of Supplementary Vocational Education «Specialist» conducted classes on the peculiarities of labor legislation. Within July 10 – 12, 2017 the II Eurasian Humanitarian Forum will be held in Ufa. The UNEVOC Centre at the premises of the Bashkir Institute of Social Technologies will also participate in the forum. The results of the All-Russian stage of the International Photo Contest «Skills in Action» are determined. The contest was held until June 20, 2017, inclusive, the Contest Committee received over 70 applications.